Looking for a dependable, quality SUV with the capability you need? Look no further than the Approved Certified Pre-Owned vehicle lineup at Land Rover Colorado Springs. These vehicles come with all of the quality and luxury you expect from Land Rover plus they are backed up by the Land Rover Approved Certified Pre-Owned Program. This means they will come with up to 7 year or 100,000 mile Limited Warranty (whichever comes first), 24- Hour Roadside Assistance, 165-Point Inspection, Vehicle History Report, and transferable no-deductible warranty. 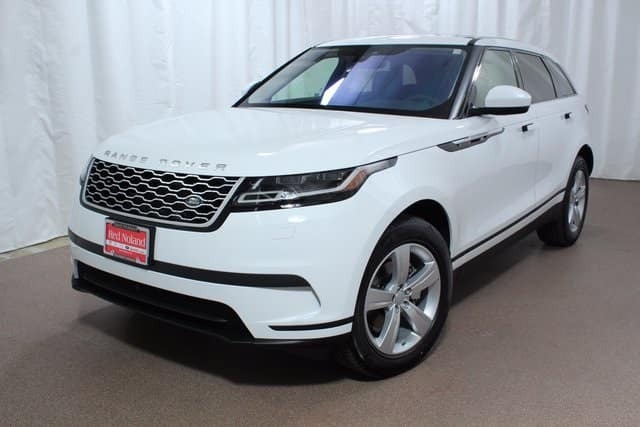 2018 Range Rover Velar– (pictured above)- This gently pre-owned vehicle is from our Service Loan Car fleet. It comes with a 2.0L I4 Turbocharged engine with 8-speed automatic transmission. Features include Blind Spot Monitor with Closing Vehicle Sensing, Interior Premium Textile Package, Traffic Sign Recognition and Adaptive Speed Limiter. 2017 Range Rover Sport – Equipped with a 3.0L V6 Turbodiesel paired with an 8-speed automatic transmission. Features include Advanced Tow Assist, Rear Parking Camera, Navigation System, Rover Tow Package, and Wheel Lock Package. 2017 Range Rover Evoque – Enjoy the powerful 2.0L Turbocharged engine with the efficient 9-speed automatic transmission. Features include heated leather seats, Cold Climate Convenience Package, Emergency Communication System, and Traction Control.